We love being a part of some of the best markets in Australia which celebrate handmade and sustainable products. And say hi if you see us at one! We love meeting new people who appreciate good design and have a passion for the world around us. The Finders Keepers (Sydney), The Big Design Market (Sydney), Etsy Made Local, ADC Makers Market (twice), The Makers and Shakers (Sydney), The Makers Nest, Artisans in The Garden, Handmade Canberra (twice), Hyde Park Barracks Christmas Fare and Sydney Made Local at The Rocks. The Finders Keepers (Sydney, twice), Etsy Made Local (twice), ADC Makers Market (twice), Carriageworks Christmas Market, Hyde Park Barracks Christmas Fare, Paddington Market, Kirriblli Market and The Brewery Yard Market. We are excited to announce our first market for 2019… The Makers and Shakers !!! 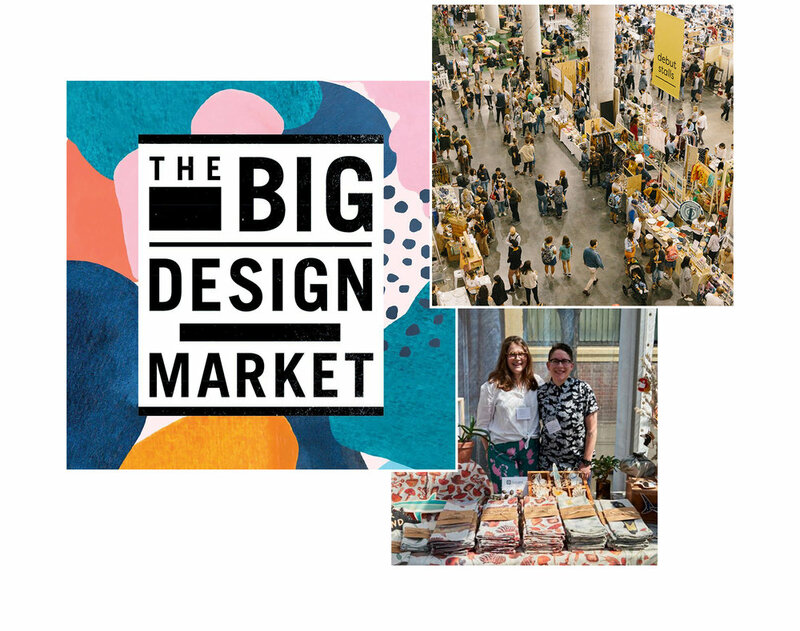 This market features a curated line up of both established and emerging creatives, and offers shoppers the very best in handmade: from beautiful homewares, stunning lifestyle products to delicious food. Artwork below by Melbourne illustrator, Tegan Iversen. Want to be a stockists? The Mint, 10 Macquarie St.